Florian joins me once again to update happenings at the Meyer Werft shipyard. Believe it or not, but we are just a year to a year and a half a way from the initial hull cutting for Disney’s next ship. 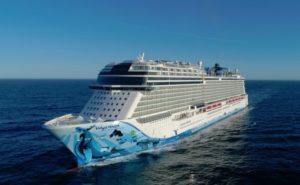 Florian also was lucky to be selected to sail on Norwegian Bliss’s inaugural sailing out of Bremerhaven to Southampton. We discuss his thoughts on the Bliss, and being selected as a press representative for her initial voyage. 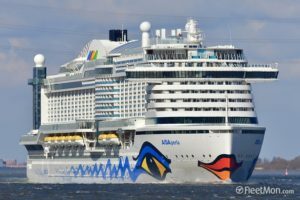 We finish the show discussing his recent sailing on the Aida Perla. We focus on differences from this German cruise line, to the American cruise lines most of us are familiar with. It is always a pleasure to have Florian back on the show!